Mungo must have been punching out Punch and Judy during the election – trawling the mediascape for fodder and spitting it back out between midnight and 4am, when only he and Tony Abbott were awake. Like all of us, he was surprised at the result but like most of us, upon reflection, wasn’t that surprised and Punch and Judy reflects this. In his analysis of the election, the result seems almost inevitable by the book’s end. Both candidates were useless and more alike than different policy wise, so there hardly seemed any point in voting unless you voted Greens or Independent as they were the only ones saying anything contrary to the unified voices of the Coalition and Labor. Like all of Mungo’s work Punch and Judy is insightful, analytical and underpinned with a vicious humour. His allegiances have never been in doubt. He’s more a man of the left than the right on most issues (except when it comes to immunisation or alternative therapies) so is more sympathetic to the Labor cause, even though it lost its way years ago. [I]t turned out to be a cabinet of shadows, even of ghosts. The only real surprise was that Wilson Tuckey missed out; being both senile and mad he seemed to have all the necessary qualifications. The Nationals’ Barnaby Joyce, not yet senile but undeniably mad, was not only welcomed into the tent but given the wide- ranging and sensitive portfolio of finance. He promptly proved that he could piss as effectively into the tent from inside … by announcing that both Queensland and the United States were effectively bankrupt and that Chinese investment should be banned. He’s equally as scathing of the ALP though, stating that Rudd’s ‘first year of government did a lot to restore the hope and trust Howard had so badly eroded; but in the last few months he pissed it all away in favour of timidity, indecision and, of course, a sack full of broken promises’. The proper way – the Labor way – to deal with such worries was simply to give the facts; the truth was that there were no grounds for concern, and the Prime Minister should have taken the leading role in explaining this. But that was too difficult and would take too long; it was a policy not a fix. So Gillard instead called for a full and open debate-well, at least for a day or so, until she was ready to announce her deeply considered solution. Say what you feel, she urged. Abandon all thoughts of political correctness. 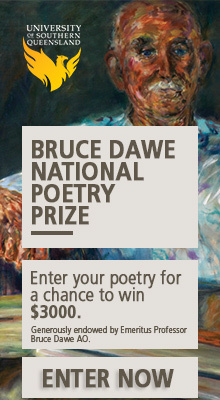 And while you’re at it, abandon reason, compassion, humanity, decency and any consideration of Australia’s international obligations and reputation. Let it all hang out. Mungo’s exploration of the coup that deposed Rudd is succinct and loathsome of the ALP’s poll-obsessed powerbrokers and the Murdoch press, who he sees as having major roles in Rudd’s execution. To anyone who watched the machinations that seems to be the gist of what happened. I was overseas at the time and after some time away from internet access logged on to be surprised that Rudd was gone. Most commentators I read shared Mungo’s conclusion, so there’s nothing new there. Punch and Judy’s real strength is in revealing the sham Australian democracy has become, where policy is reduced to sound-bites and opinion is for sale to anyone with the most strident editorial or most vocal mob. The title is more than apt for after reading Punch and Judy you are left with the opinion that Australian democracy is no more than a show, put on to maintain the illusion of democracy when in most respects it’s no more than a one-party system with a few frills to distinguish the parties. I read Guy Rundle’s book Down to the Crossroads soon after Obama was announced as the new president of North America. It’s interesting to compare the two books. In Crossroads, North America, for all its political faults (and there are many), is shown as a place where politics is a passionate affair, a place where many people genuinely care about politics. Punch and Judy, on the other hand, reveals an Australian public that has ceased caring and political figures who treat the voting public as idiots. There is no passion, there’s nothing but farce. 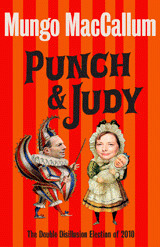 Punch and Judy is an insightful and funny read but not a read for diehard, one-eyed Liberal/Labor voters – they’ll only get pissed off. For everyone else it’s a laugh, but a revealing one. “the sham Australian democracy has become, where policy is reduced to sound-bites and opinion is for sale to anyone with the most strident editorial or most vocal mob.” So sad but true, mass media governs this country, picking and choosing what is reported and how it is portrayed. This is not so much an indictment on the major parties, as they’re mostly beyond salvation, but more a judgment of the Australian electorate who have let the position of running the country go to whomever can offer the most within the 15 second sound bite / attention span rather than looking at the actual policy. So now, in order to be heard, the two parties are aligned to ‘right’ and ‘far right’. Thanks for your comment Mark, so very true. I think both parties should stop acting like an oppostion and join forces and be honest about the dictatorship they have been running for years. If voting changed anything, it’d be illegal. Thanks Rohan, nice review and insights into the present state of Australian politics. Lindsay Tanner’s ‘Sideshow’ is apparently equally condemning of the Australian media, though disappointing that Tanner in an interview on the weekend didn’t seem to think politicians should share some of the blame for the race to to the bottom. Part of the problem is that both major parties have such similar policies, politicians look to theatrics, door-stops and soundbites to set themselves apart or to endear themselves to the Australian public. And more and more, political parties are there as managers to serve the interests of big business rather than work for the common good. Today’s announcement that teenage mothers – perhaps one of our most vulnerable social groups – will lose their meagre welfare payment if they don’t go back to school, is how low politicians are willing to go to curry favour with a conservative electorate. Perhaps they should come together and mount a multi-million dollar campaign to convince the ALP to change their mind. Great comment Trish, thanks, and the ALP’s latest call for teenage mothers to return to school has to be one of the lowest points on the ALP ladder of ALP dirty tricks. It’s of course ill thought out-where are these teenage mothers going to put their young children while, they’re at school? I can’t see their welfare payment stretching to childcare fees, even if they can get a place in a childcare centre. There’s a few schools that have childcare centre’s attached to them (including a new middle-school in Roseberry in Darwin-I work at the Snr school that Roseberry feeds into) but no where near enough to make it feasible to have all teenage mothers put their kids in a childcare centre attached to their school while they return to school. I’ve certainly taught plenty of bright girls who get pregnant and leave school, and i would have loved to see them continue their education and be supported in anyway possible by the school, but it does’nt happen. Sounds to me like Gillard’s trying to appeal to the lovers of Andrew Bolts columns-it’s an exercise in the worst sort of popularism and proves once and for all the ALP has lost its heart and soul. I recently totally gave up. OK I was a very active Whitlamite – but I could kinda respect Menzies and even Frazer … but never Hawke/Keating, let alone Howard … and now we have Gillard/Abbott!!! OMG!! Oh, and btw, Osama bin Laden is dead for about the third or fourth time, but guess who will “go all the way with Obomber nil Change” in Afghanistan and continue sending our troops to kill and be killed. Yes I have given up. I no longer vote. No point. I agree, just when you thought this present government could not sink any lower… And it’s all the more shameful that these vindictive, anti-women policies happen during the reign of a female Prime Minister. But if we had a decent media then these policies would be scrutinised and debated (and I don’t mean one person presenting one point of view on an opinion page and another presenting an opposing view), with analysis that considers social determinants or the factors that put some young women at risk of unwanted pregnancy rather than the long-pedalled misogynist assumption that lazy young women become pregnant to avoid work.